Biome DTX packs a punch by utilizing three distinct pathways to provide breakthrough purification. 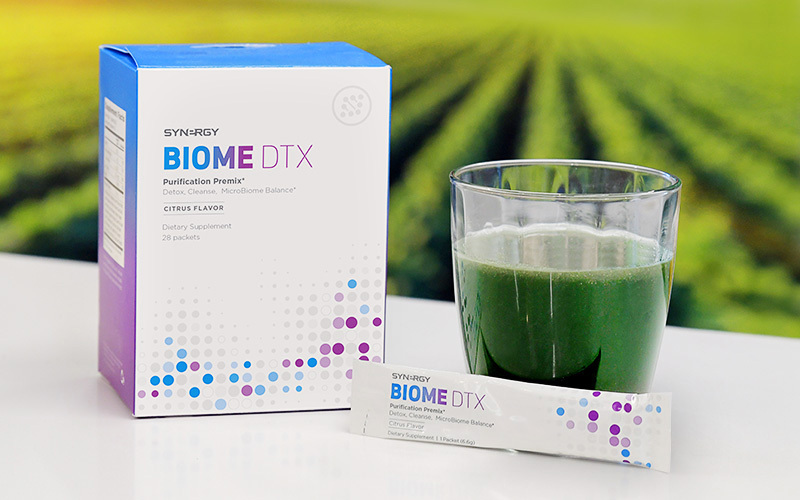 With a selection of powerful ingredients like sodium copper chlorophyllin, broccoli flowers, inulin, glutamine, psyllium, and zinc, Biome DTX is the go-to drink for digestion, microbiome balance, and healthy elimination. This patent-pending formula even assists with the removal of heavy metals from the body. Right now, save over $70 when you order the 4-pack of Biome DTX! Once you've tried it, you'll want it on hand at all times. Love Biome DTX? Share this post by clicking on a social media option below.